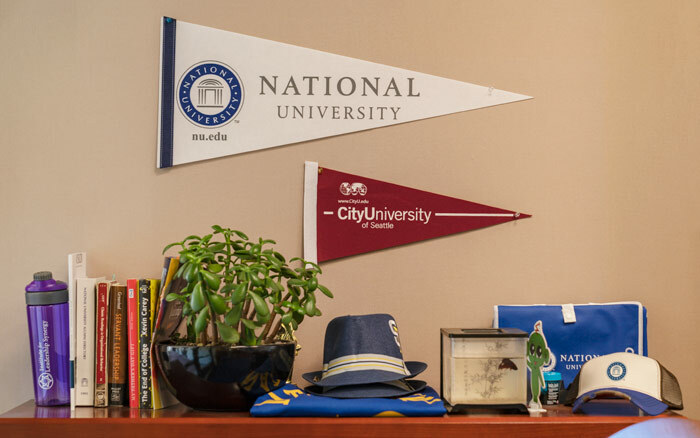 At National University, we know how far you’ve come and how hard you’ve worked for your community college credits, which is why we make the process of transferring as simple and streamlined as possible. NU has articulation agreements with more than 110 community colleges, so you can get the credit you deserve for previous coursework. Contact an admissions advisor today to learn more about transferring to NU. Explore how your credits from other institutions transfer to National University. The Transfer Credit Calculator is designed to give you quick summary of your transfer credits from previously attended institution(s). Contact an admissions advisor today to learn how your transfer credits apply to National University programs. Select your previous school(s) and classes completed. Click ‘view my list’ to see your list of transfer credits. Transfer students who have recently earned their California Community College – Associates Degree for Transfer (CCC-ADT) are eligible for National University’s CCC-ADT Transfer Scholarship. Through this scholarship, students can complete a bachelor’s degree in 90 quarter units or less and pay just $7,000 per year* for tuition. Transfer students who have recently earned a transferable associate degree from a California community college are also eligible for this transfer pricing. Contact an admissions advisor to learn more about the scholarship. View our full list of transfer-friendly bachelor’s programs and read through our FAQ’s for more information. Qualified California or Nevada community college students, or students from another approved out-of-state community college transferring to National University are eligible for the Transfer to Success Scholarship – an award of up to $5,000. Learn more about the Transfer to Success Scholarship.